Sharp Automations is one of the leading players in the Industrial Electronic Repair, service & Maintenance in the ability to repair virtually any electronic equipments or Printed Circuit Board with an experience of 15 years. We are Expert in repair of all make variable frequency drives (VFDs) at component level. We will troubleshooting and repair on site in your factory. 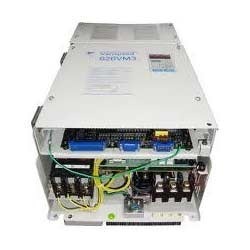 AC drive, DC Drive, Soft-Starts, VFD, Medium voltage drive, MV drives, inverter drives, Servo Drive, Servo Pack, Servo Motor, Processor Board, I/O Card, CNC Machine Control card, PLC, LCD, HMI, HVAC, Building Automation System, Power Supply and SMPS, Inverter Welding machine (MIG/ITG), Plasma cutting, ,PLC’s, Temperature Controllers, Counters, Logic boards ,Test & measurements and many other specialized electronic boards too numerous to list.